Virginia Packing is a specialty co-packer for cured meats, cheeses and other quality foods. We specialize in products that require careful handling and extra attention to detail. 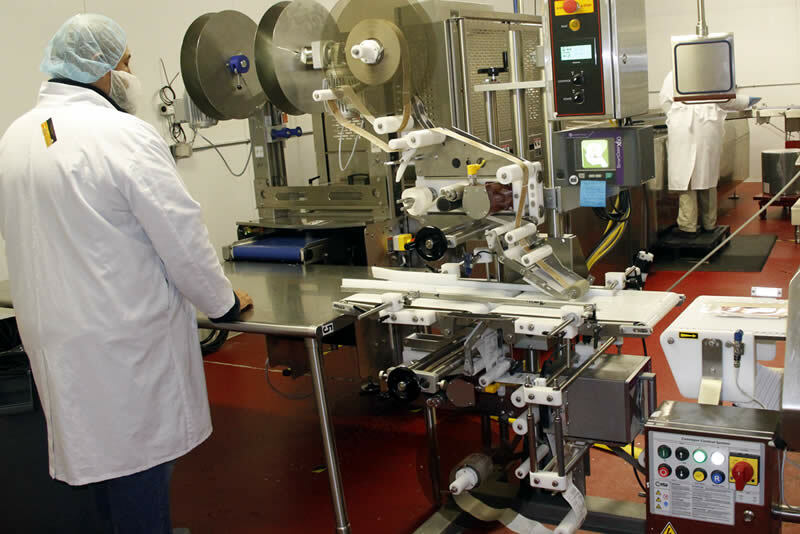 Based in Toano, Virginia, we have experienced staff and top quality equipment, including a Weber high speed slicer and a GEA thermoforming packaging machine. We are the exclusive meat slicer and packer of Spanish jamón for La Tienda, the leading online retailer for imported products from Spain, and our impressive client list continues to grow. We are USDA/FDA inspected, SQF certified (Safe Quality Foods Program). In addition to expert slicing and deboning services, we also offer (MAP) Modified Atmosphere Packaging and vacuum (shrink) packaging for goods such as cheese, meats, and other food products. Call or email us any time about how we can serve you in our USDA inspected facility. We offer air-conditioned, refrigerated and frozen storage and logistics. 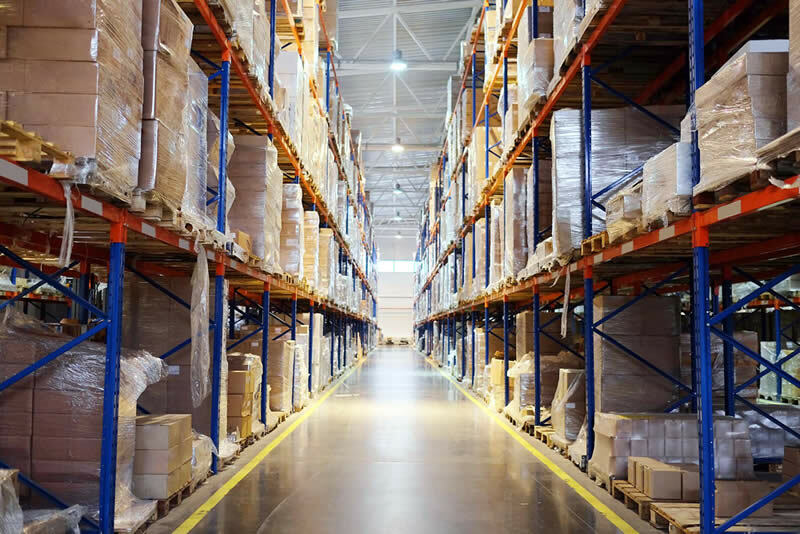 The ports of Hampton Roads are just an hour East and access to Interstate 95 is 30 miles to our West, making Virginia Packing a convenient cross docking facility. Virginia Packing offers high speed, precision slicing and packing services in our USDA inspected facility. 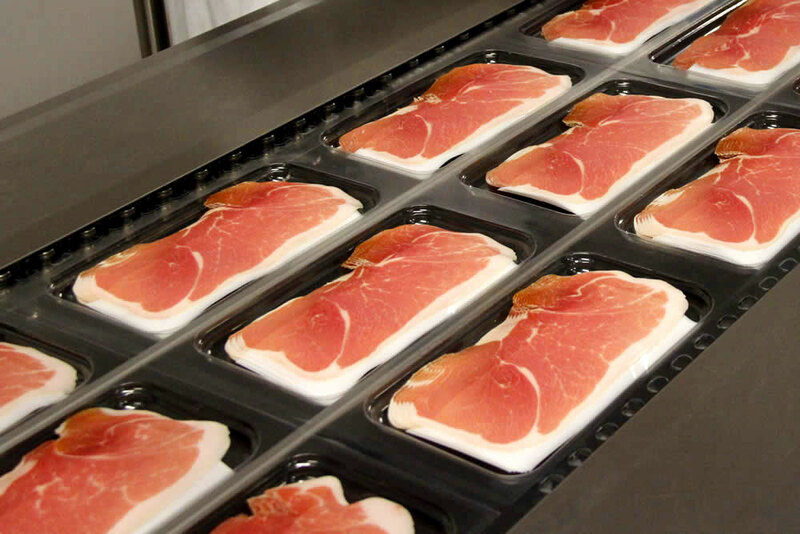 Our Weber slicer and high speed packaging equipment ensure excellent yields and a polished presentation. Virginia Packing is a specialty food co-packer, large enough to feature top quality equipment and facilities, and small enough to take special care of your products. Whether slicing ham on a high-speed machine or hand-cutting specialty cheeses, our trained staff makes sure every job is completed to exact specifications.